Written in close collaboration with the Roy Lichtenstein Estate and Foundation, this monograph presents an extraordinary selection of over 200 works on paper by the American artist, from the National Gallery of Washington, DC; the MoMA and the Whitney Museum, New York; the Art Institute of Chicago, as well as public and private European and American collections. Devoted to his works on paper that represent the most private and poetic aspect of Roy Lichtenstein’s production, this volume provides the reader with a unique perspective for getting to know and appreciate the artist’s oeuvre through the “first works,” namely the original ideas that were to be the source of inspiration for his great, world-famous masterpieces. The works on paper are also paired with some important paintings and sculptures, as well as a rich selection of photographs documenting the artist at work. 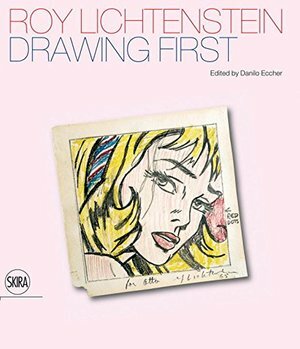 The volume includes texts by Danilo Eccher, Dorothy Lichtenstein, Bernice Rose, Jack Cowart, Thomas Zacharias (“Lichtenstein Draws”), and Andrea C. Theil, a chronology (by Clare Bell), and a list of exhibitions in Italy.